"It was great to have someone in New Zealand available by phone whenever needed during our trip. Geoff responded quickly to all inquiries before and during our travel." Barbara and Kim from Chicago, USA - March 2019. 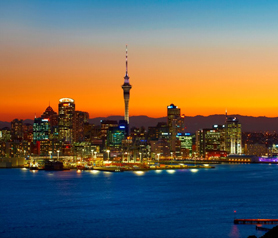 Auckland city, 2 harbours, 20 extinct volcanoes and is New Zealand's largest city with a population of approximately 1.4 million. Auckland is often called "City of Sails". 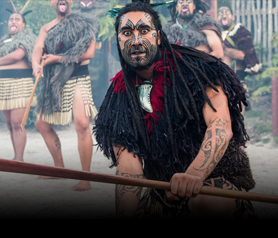 Maori makeup 16% of New Zealand's total population and live mainly in the top half of the North Island because of the warmer climate. 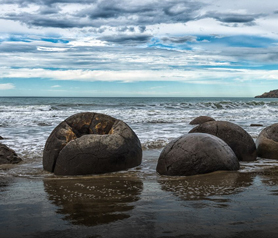 Moeraki boulders just south of Oamaru are truly fascinating. Stroll along a lovely peaceful South Pacific ocean beach and explore these large circular boulders. Great photo opportunities. 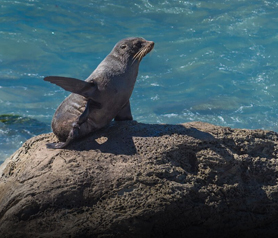 New Zealand has many large Seal colonies around it's 15,000 km/12,000 mile long coastline. Playful and fun to watch but do not get too close, they bite! 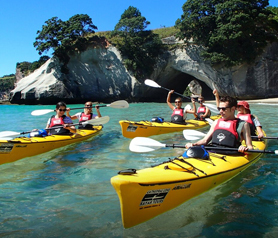 Kayaking is very popular and fun in New Zealand particularly around the stunning Coromandel Peninsula in the North Island and in the South Island the beautiful Abel Tasman National park. 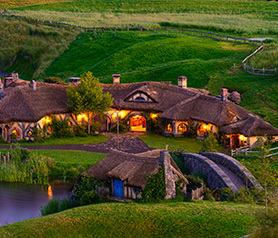 Experience Sir Peter Jackson's magic first hand, visit the original film set for our world-famous Hobbiton epic. The farm setting near Matamata in the central North Island is truly special, a "must see" attraction. Franz Josef glacier always spectacular in all its majestic glory. It is rare anywhere in the world where major glaciers are so close to any ocean and so accessible. 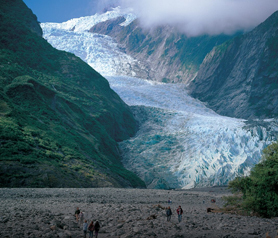 An exciting option is a full day glacier hike, then a relaxing soak in hot pools. 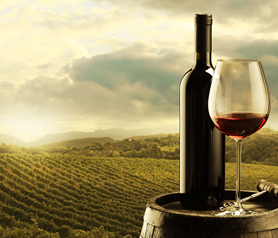 New Zealand's wines are world famous, our most prominent regions being Marlborough, Hawkes Bay, and Central Otago. Peter Yealands' Seaview winery is claimed to be the world's most environmentally friendly and sustainable winery. Our handcrafted bespoke customised itineraries - self-drive or private driver (fully guided) trips allow you to experience stunning locations set amongst a backdrop of breath-taking landscapes. Please contact us now for more information, try us - you'll like us.